This SQL tutorial will show SQL Server database developers how to get columns names of a database table in SQL Server using various methods. The list of table columns can be obtained programmatically by executing queryies on system catalog views like sys.columns or information schema views, etc. Sys.Columns is a built-in SQL Server Object Catalog View which returns data for each column of an database object like database tables, views, table-valued functions, etc. By executing a SQL query on sys.columns or syscolumns view, T-SQL programmer can get the list of column names of a table beside many other column data like data type, length, collation, etc. Please refer to MSDN for more detailed information about sys.columns system view. 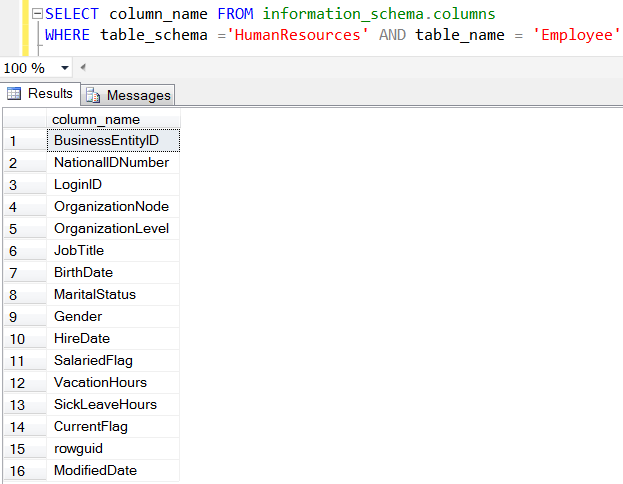 SQL developers can query SQL Server System Information Schema View information_schema.columns for getting detailed data about a column of a database table. 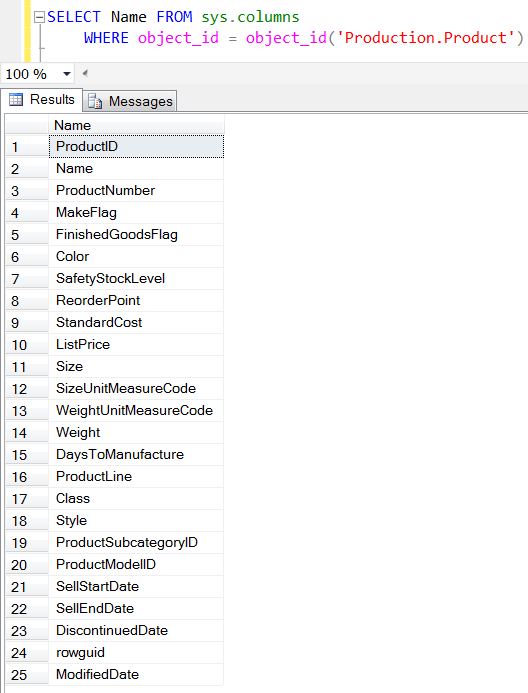 Of course if the SQL programmer filters information_schema.columns view for a specific table or view, he or she will be able to list all columns of that table. SQL developers and database administrators can refer to MSDN for official documentation about information_schema.columns system view and for other information schema views. sp_columns is a SQL Server system stored procedure which returns data about column information in detail of catalog objects like database tables, views, etc. If sp_columns stored procedure is called with table name parameter, the list of columns of the database table will be obtained. While executing sp_columns procedure, developers can also provide the @table_qualifier parameter for setting the schema name if required. For more information on syntax and data returned from sp_columns, please refer to pointed online MSDN documentation. Programmers and administrators can define sql variables for column list of a table and use this in their dynamic SQL queries. For such cases where developers need to build comma seperated list of table column names, they can modify following SQL script. 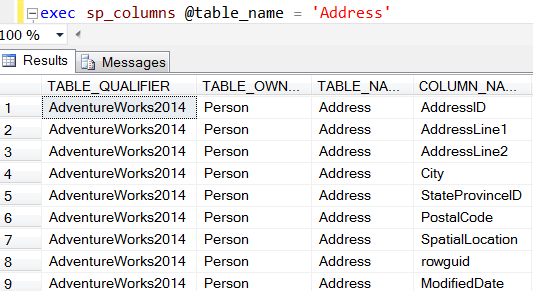 If you plan to use columns names in an other SQL script, you can think of using the QUOTENAME() SQL function for field names with spaces or special characters in them.